Serving homeowners and businesses in Bartlesville and Northeast Oklahoma, Earnest Heat & Air is an independent Trane Comfort Specialist™ dealer, a designation that reflects the industry’s highest standards of professionalism and technological expertise. We use and promote the use of all Trane Products and equipment, especially when it comes to a new installation or system upgrade. Trane produces high quality products and backs them up with a rock-solid warranty. We offer a full line of Trane air conditioning and heating products. We provide a free on-site evaluation, at which time we will review many options with you, such as adding, upgrading or replacing your air conditioning and heating equipment. From this evaluation, we will provide you with an estimate that considers good, better and best options, allowing you to accommodate any budget needs. When you need service or repairs on your home or business comfort system, Earnest Heat & Air has the expertise to get the job done right the first time. We respond to your call quickly, service all makes and models, and return you to normal with minimal interruption to your comfort. Earnest Heat & Air offers annual residential and commercial maintenance programs designed to keep your air conditioning and heating equipment running effectively and efficiently. We encourage regular and preventive maintenance to prolong the life of your air conditioning and heating system and reduce costs due to preventable repairs. Indoor air pollution can actually be worse for you and your family than outdoor pollution. If you want cleaner, healthier indoor air, let the experts at Earnest inspect your home’s ventilation and air intake sources. 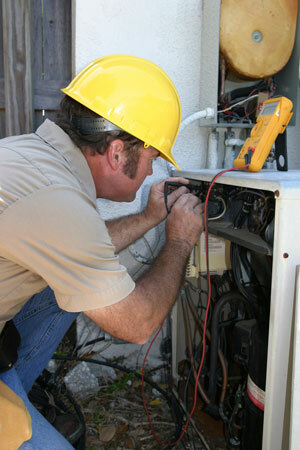 We will evaluate your home’s air intake systems and modify them as necessary to achieve optimal air flow. We’ll also check possible air pollutants within your home, like stoves and heating systems, and make adjustments so that they’re operating at a safe air capacity. When necessary, we can also add air filtration systems to your home to filter possible contagions. A geothermal heating and air conditioning system harnesses the earth’s steady underground temperatures to regulate the comfort of your home with impressive efficiency. At Earnest Heat & Air, our geothermal experts know how to install and service your system to enhance your home comfort year-round and provide substantial energy savings over the long haul. We are an authorized dealer for ClimateMaster geothermal products. Have a question or need service? Please don’t hesitate to be in touch. Call (918) 335-3057.